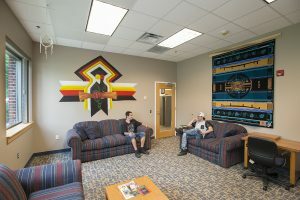 One can sense of place of belonging when you walk into the AIRC our beautifully displayed artwork from American Indian Artists range from local to global, present to past, and help our walls be as unique as our wonderful students! A great place to study is something that our students need, the AIRC provides quiet and inviting spaces to facilitate your learning choose your setting in our Student Lounge with 3 couches, the Computer Lab with 6 computers and as always free printing! Our Classrooms are typical of a college campus setting, but with awesome technology! Should you need to video conference or just need a classroom setting these rooms are useful for many different types of training. Our Conference Room is a great space to get your team together and focus on development, host meetings, brainstorms, and strategy sessions in this inviting space! Students can request it for use on group projects as well! Our most iconic and well requested room is the Gathering Room. This is where we host most of our events, we host dinners, wakes, conferences, and other activities. For more information about our facilities and how to rent space for your event check out our Room Reservation page Here! If you are an American Indian student, you can turn to us for support as you strive to achieve your goals and realize your dreams. If you’re a community member, whether nearby or across the globe, you’re invited to contact us, come visit, and participate in the cultural interaction and enrichment opportunities offered here. 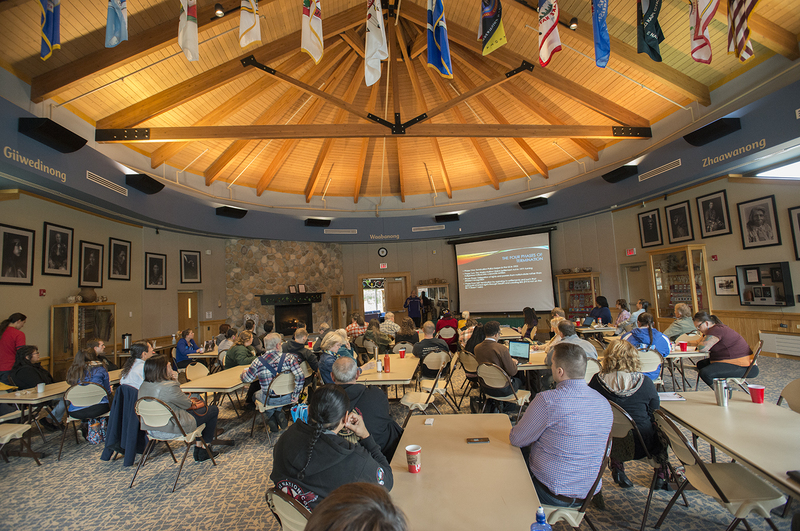 Bemidji State University supports and complies with the United Nations Declaration on the Rights of Indigenous Peoples and is an Equal Opportunity/Affirmative Action Employer.